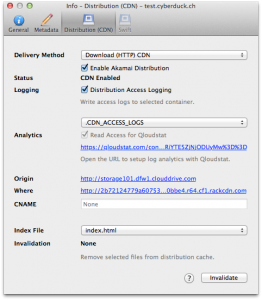 If you already use Cyberduck to configure access logging for CloudFront distributions, S3 buckets or containers in Rackspace Cloudfiles, getting reports in Qloudstat just got a lot easier with the new Read Access for Qloudstat checkbox in the Info panel tab for CDN or S3 buckets. For Amazon S3 buckets or CloudFront distributions, this will create a dedicated IAM user with a read only IAM policy for Qloudstat to fetch log files. 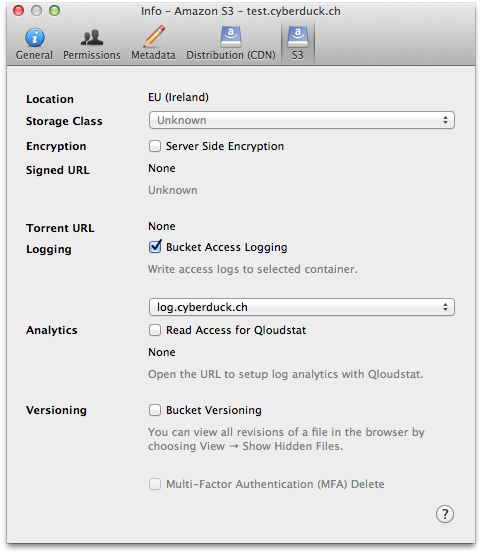 Unchecking the Read Access for Qloudstat checkbox will remove the IAM user again revoking all access for Qloudstat. 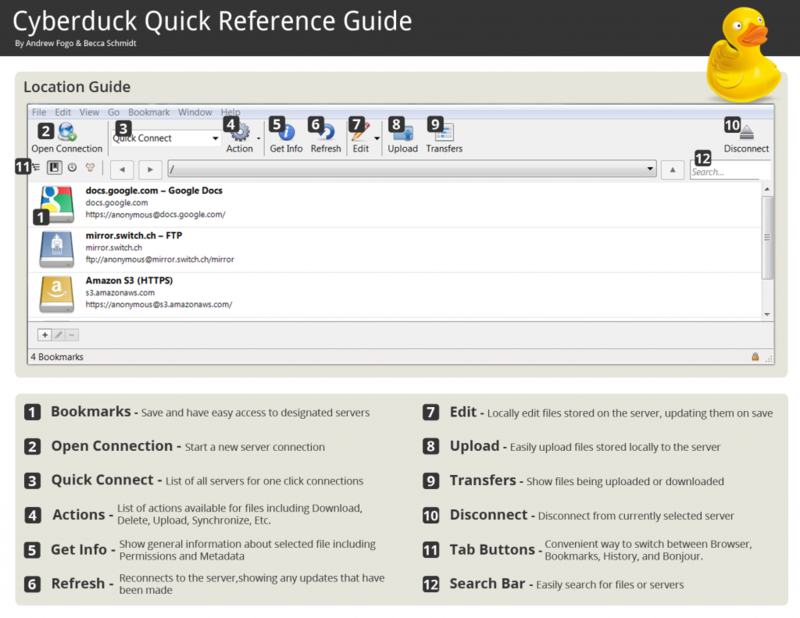 When enabled, a clickable link is displayed that redirects to Qloudstat to confirm the new setup. There are many new providers pushing into the cloud storage market accessing open protocols that Cyberduck supports, OpenStack being the most relevant in the party. As we don’t want the connection dropdown list in the connection panel of Cyberduck to grow to a confusingly long list we tend not to add every single provider entering the market to the list. But to simplify the connection setup for customers, we publish so called connection profiles in collaboration with providers. These profiles contain specific connection settings for a hosting provider and a custom icon to make it easily recognizable in the list of bookmarks. 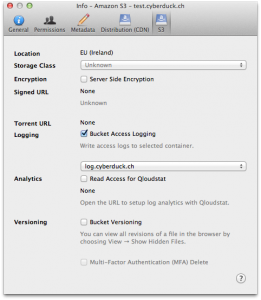 To install, just double click a connection profile (.cyberduckprofile) (both on Mac & Windows supported) to register it with Cyberduck. 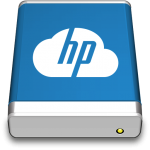 HP Cloud Object Storage, built on OpenStack™ technology. GreenQloud, offering S3 compatible storage only using renewable energy in Ireland. DreamObjects Cloud Storage, both Amazon S3 and OpenStack Swift compatible. 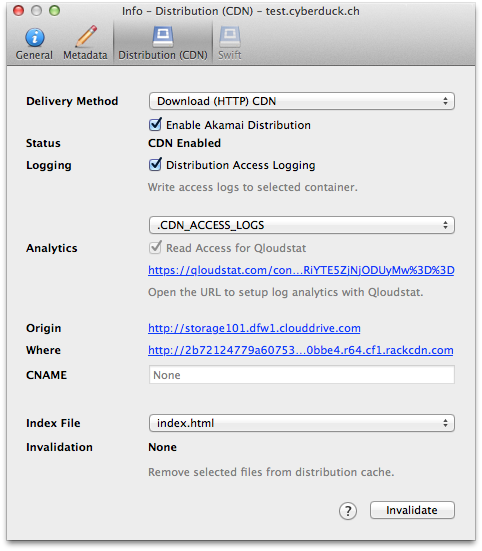 Cloud.ca, located in Canada using OpenStack Swift. 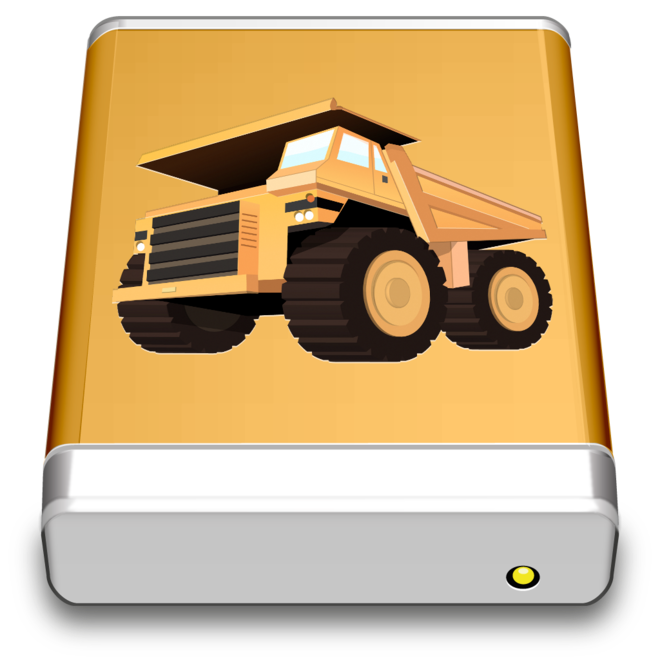 Dump Truck Online Storage by Golden Frog. With the connection profile installed, only the user credentials must be provided to login with the hostname, port and protocol preconfigured. Update Technical documentation has been posted to the wiki. In a spring cleaning effort we have removed support for Dropbox, Google Drive and Azure in Cyberduck for the upcoming 4.3 release. This allows us to focus on improving support for S3 and open cloud storage standards (speak Open Stack Swift) and the long supported FTP/SFTP and WebDAV protocols. We reserve the option to reintroduce support for Azure (#6521) and Google Drive (#6976) when time allows and user demand is significant. Update The latest snapshot builds for Mac & Windows reintroduce support for Azure Storage. 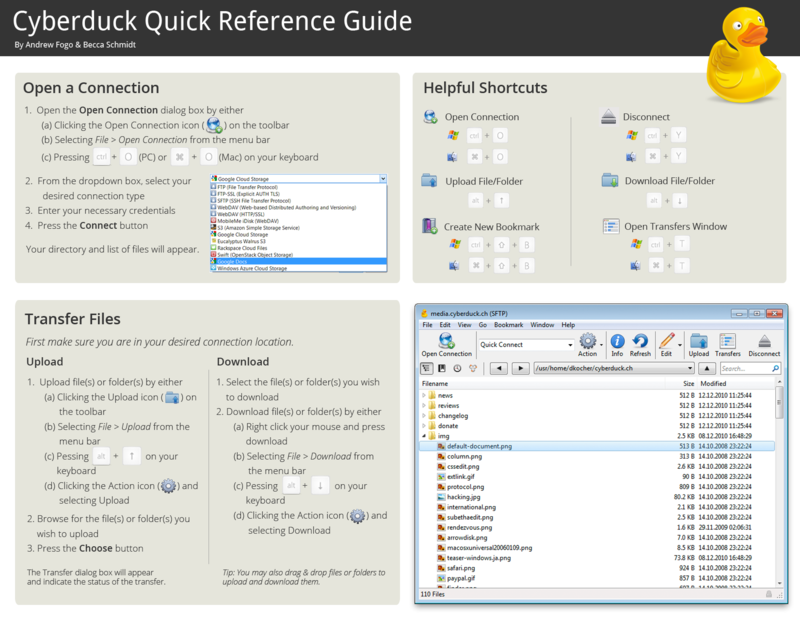 To improve the documentation on Cyberduck, Andrew Fogo & Becca Schmidt from University of Wisconsin have created some marvelous cheat sheets for Cyberduck.